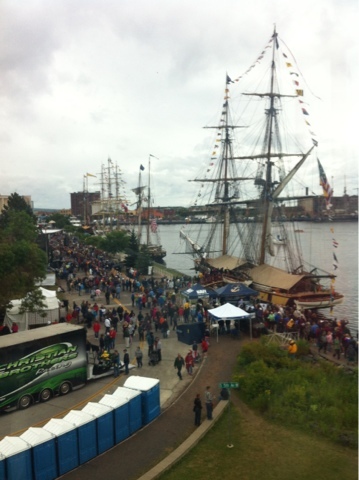 The first night in Duluth we hosted a party for the crews of all the ships at the festival. BBQ hotdogs and platters of fruit, cheese and crackers. And a watermelon basket because we can be fancy like that! 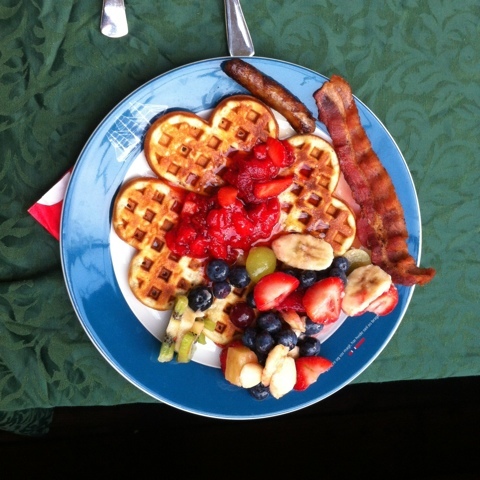 On the last morning of the festival the Sons of Norway brought us breakfast. It was delicious! 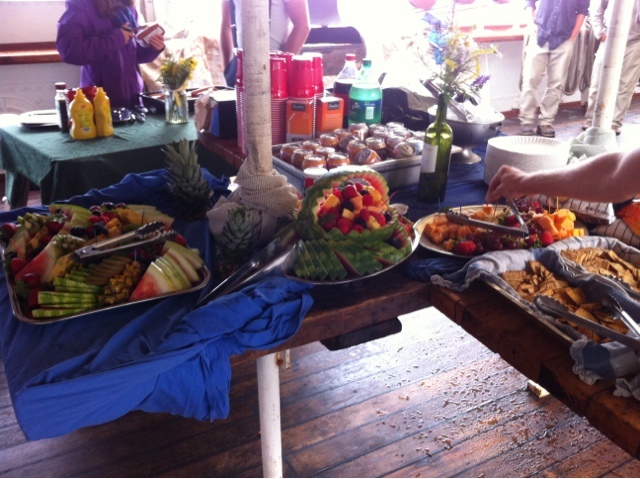 We ate on deck and the officers put on their dress uniforms. 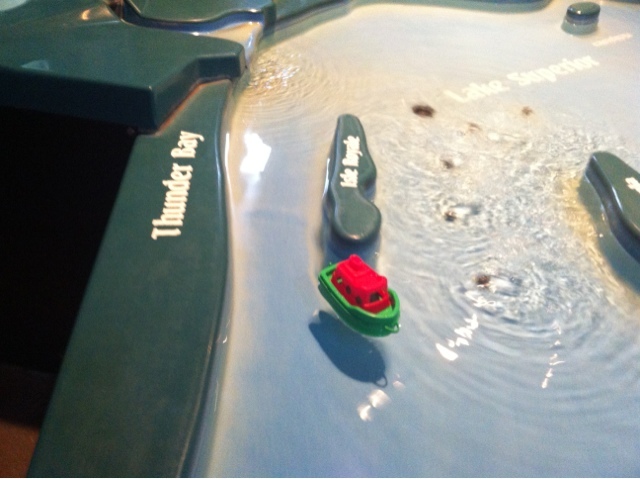 …and sailing a toy boat along the route we've been taking. 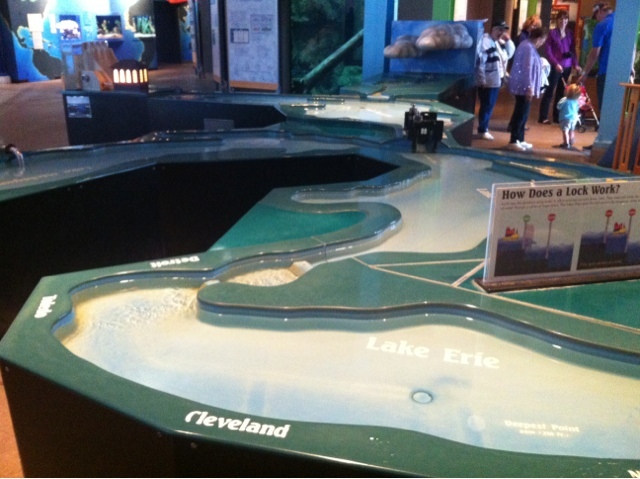 Going through the locks was interesting, my boat capsized a couple times! 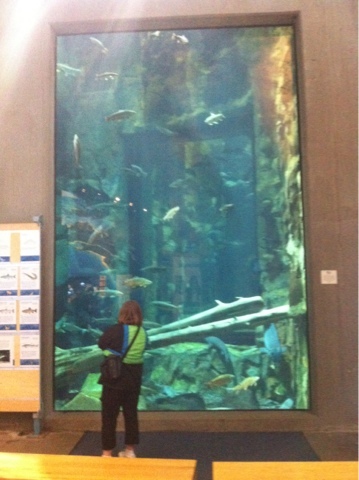 Most of the tanks were freshwater, like this one showing the fish that live in Lake Superior. I got out for a run one day. One of the nice things about living on a ship is the nice waterfront paths to run along. 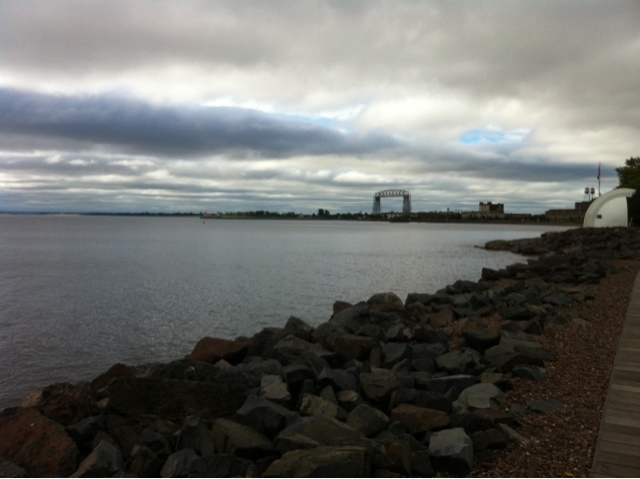 Duluth was nice, Canal Park, where we moored, was a nice area to wander around in although it was a little touristy. 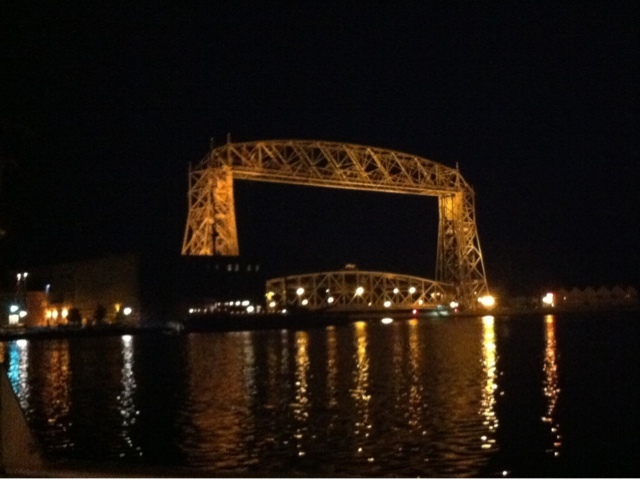 So far Duluth wins the postcard contest as there were lots available at several stores. The festival was the usual mix of crowds and vendors (a lot of them are the same at each festival; Baja Smoothie, kettle corn, Great Lakes Challenge merchandise). Now we are off for a 10 day sail to Chicago - hooray!